Paul’s Electrical is the electrician in Sutherland to call for all of your electrical needs. With a team of experienced technicians, the company is readily available to handle all aspects of electrical work. 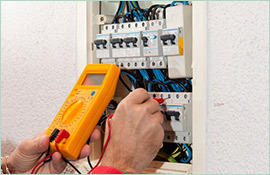 The company’s 18 years of experience has prepared it well to become the area’s residential electrical specialist. When your home has an electrical problem, it is in good hands with Paul’s Electrical. The company provides a range of services to its customers including the installation of an entire system. If you have a new home being built, Paul’s Electrical is very experienced in the installation of electrical systems. 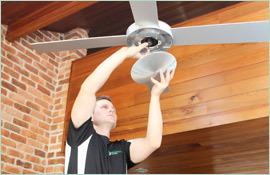 The company’s technicians are equally adept at installing items like stoves, ceiling fans, lights, and even telephones. No matter how big or small the job, Paul’s Electrical can handle and will get the job done right, every time. Customers in the area continue to call Paul’s Electrical for a variety of reasons. The company diagnoses electrical issues and fixes them the first time. There is not a residential electrical issue that the company cannot solve and fix. 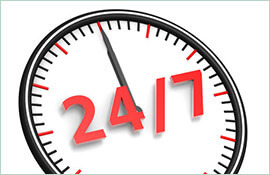 The company offers emergency service 24 hours a day, seven days a week. When you have an issue, Paul’s Electrical will arrive on time, every time. All of the company’s technicians have been carefully trained in all aspects of electrical work. They drive fully stocked work vans so that they will have the parts necessary to resolve any customer’s problem. Customers can also bank on absolutely perfect workmanship. 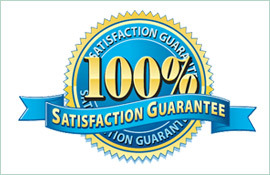 Paul’s Electrical offers all customers a lifetime workmanship guarantee. You can’t go wrong when you choose Paul’s Electrical. For more information or to schedule an electrician in Sutherland, call 0409 337 439 or visit the company’s website, paulselectrical.net.au. A water heater can sometimes feel like the lifeblood of a house. In the morning, when you need a way to wake up before work, you head to the bathroom for a nice hot shower. In the evenings, before you put the kids to bed, you give them a bath. Hot water is necessary for other tasks throughout the day as well, from making coffee to washing your hands. Needless to say, when the water heater stops working, it can disrupt your lifestyle. A cold shower is a rude awakening—especially in the wintertime—and you can forget about trying to make your four-year-old take a bath in cold water. Waiting for a fix isn’t an option. You need to get your water heater fixed immediately. The question is, which electrician in Sutherland Shire do you call for repairs? Water heaters can be tricky because several different things can go wrong with them. Sometimes, you will have no hot water; other times, the hot water just won’t last as long as it should. Sometimes, your hot water will come out of the tap looking rusty or otherwise discoloured; other times, you will go downstairs to find your water heater leaking. You need an electrician who knows water heating systems well to diagnose the problem and suggest an appropriate fix. At Paul’s Electrical Services, we believe that we are the electricians for the job. We have been serving the market as residential electrical specialists for 18 years now. In that time, we have seen every water heater problem in the book, from leaks to pilot light problems to rust and beyond. You can count on us to identify the problem and offer a fix. If we can’t salvage you water heater, we will be the first to tell you, so that you can start looking for a replacement. If you need, we can even help with the installation of the replacement unit. Don’t go another day without hot water. Call Paul’s Electrical Services today and trust our electricians in Sutherland Shire to solve the problem.